1 840 kr per månad i 48 månader. Restvärde 8 290 kr. Uppläggningsavgift 450 kr. LUXMAN has been at the forefront of integrated amplifier design since releasing the first Japanease integrated amplifier, the SQ5A, in 1961.For over 50 years, LUXMAN has been confronting the challenges of balancing performance, function and design in an integrated amplifier body. 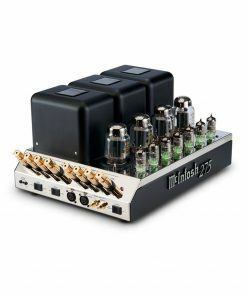 These years of research and experience have resulted in the L-590AXII, the ultimate complete integrated amplifier design.With unprecedented spatial expression – and a sense of density particular to Class A design – outstanding realisation of tonal quality and penetrating audio ability have been achieved in this Class A integrated amplifier. 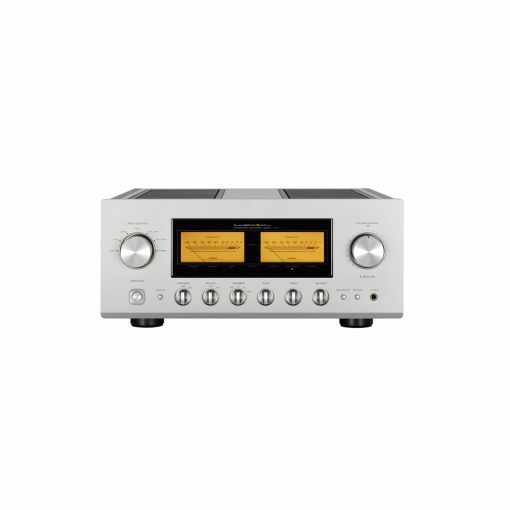 The integrated L-590AXII introduces a combination of high grade technologies found in LUXMAN separate amplifiers, such as the original amplification feedback circuit ODNF4.0, LR independent block capacitors, discrete configured buffer circuits and the newly developed LECUA 1000. 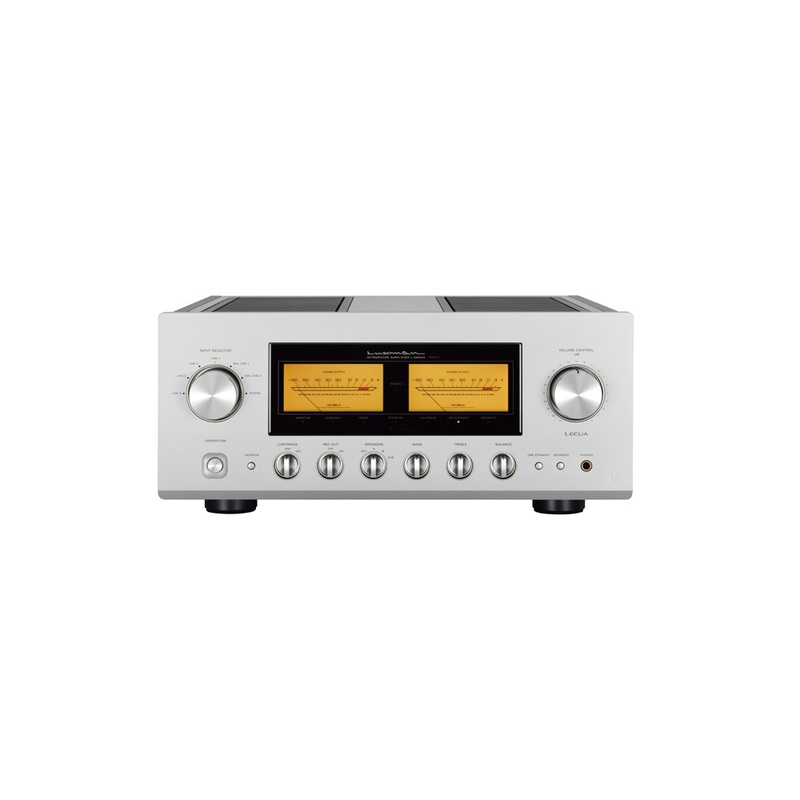 The L-590AXII is the peak of integrated amplifier design, amalgamating tried and tested know how and state of the art technology.The L-590AXII is the debut flagship model of integrated amplifier from LUXMAN to commemorate the 90th anniversary of this ground-breaking company. 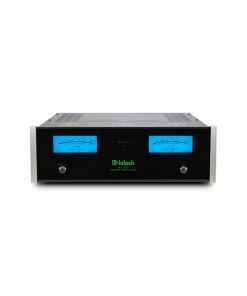 The newly developed integral LECUA1000 computerized attenuator with an 88 step amplifier circuit has been mounted in the volume adjustment unit, that is, for the first time as LUXMAN’s integrated amplifier, an essential part of the pre-amplifier circuit. This pre-amplifier circuit uses the same design as the top end control amplifier, the C-900u. 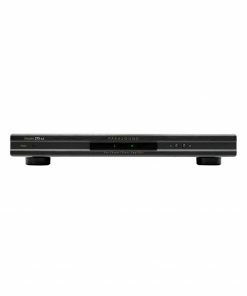 The LECUA 1000 enables the sound volume to be adjusted smoothly with minimal deterioration of sound quality. A 3D layout has been introduced in the LECUA 1000 that allows substrates to be placed in three dimensions with the attenuator circuit directly connected to the amplification circuit, thereby minimizing routes and improving efficiency. 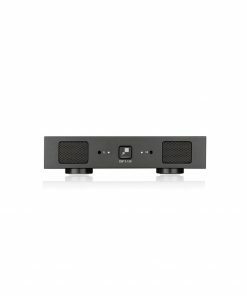 Furthermore, this type of layout is extremely insensitive to external vibration and changes in sound quality caused by the volume level and has high durability. 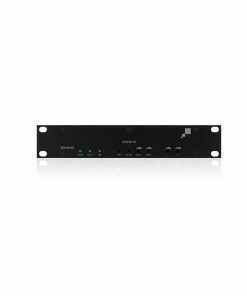 The ODNF (Only Distortion Negative Feedback) original amplification feedback circuit from LUXMAN features a fast primary slew rate and an ultra-wide bandwidth achieved through the feedback of distortion components only from output signals. The L-590AXII is equipped with the latest version of ODNF – Version 4.0 – in which the distortion characteristics at high frequencies as well as the S/N performance have been significantly improved. 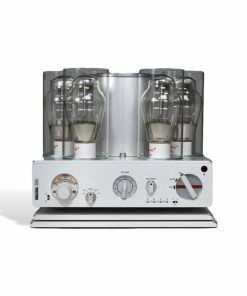 Version 4.0 also features a power amplifier circuit in which a 3-parallel push-pull structure with 3 stage Darlington is used, as featured in the LUXMAN M-700u power amplifier. 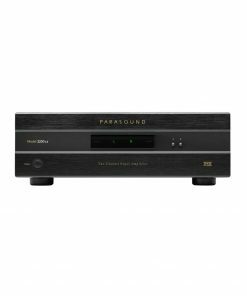 The rated output of 30W + 30W (8 ohms) of pure Class A amplification sufficiently supports the impedance characteristics of a wide variety of loudspeakers. 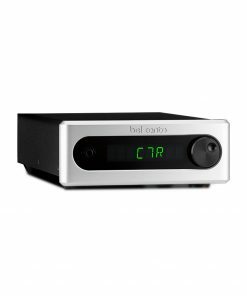 It is possible to achieve a mellow, expressive sound with an increased sense of density with drivability to speaker systems that is equivalent to separate amplifiers. A high inertia power supply circuit with a high regulation large capacity power transformer and a large block capacitor of 80,000μF (10,000μF x 8) in a LR independent manner have been combined to achieve both instantaneous power andstability. A high level of regulation is achieved by increasing the diameter of the primary winding of the power transformer. To transmit the powerful drive force that is generated by the large scale output circuit without loss, a large low resistance speaker relay in which 2 contacts are connected in parallel has been incorporated into the design. Lowering impedance right to the extent of the speaker terminals improves the damping factor significantly from 240 (the value of the L-590AX) to 320 resulting in vibrant sound reproduction. The combination of LUXMAN original OFC wire used in the internal wiring and the round pattern incorporated in board wiring which enables smooth signal transmission allows for Beeline construction in which audio signals are configured with the optimal and shortest route, further contributing to lower impedance transmission. Discrete buffer circuits equivalent to the ones used in the LUXMAN C-900u, the flagship model of LUXMAN separate amplifiers, is mounted on the output stage of the pre-amplifier circuit, protecting the purity of the audio signals whilst simultaneously enhancing the drive force for the power amplifier. 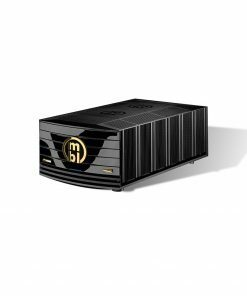 The L-590AXII is equipped with not only a custom power transformer and block capacitors but also with many custom built parts featuring sophisticated technologies. These custom parts and features have been improved through thorough listening tests on passive parts including resistors, input/output terminals and various wires. A newly designed, highly visible meter panel and LED lit ‘pointer’ type analog meters featuring a highly responsive meter unit are used in the L-590AXII. The sophisticated hairline finish on the top panel of the blaster white main unit exudes elegance and quality of design. The L-590AXII features an electronically controlled bass/treble type tone control function with LR balance adjustment utilising LECUA’s volume shifting function, equipped with loudness function interlocking with sound volume and pre/power separation functions. The L-590AXII is also equipped with a phono amplifier that is compatible with MM/MC cartridges. 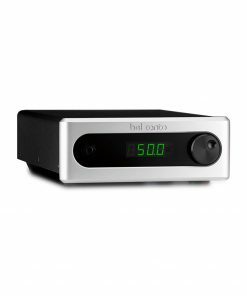 Thus, the L-590AXII has a high functionality specific to an integrated amplifier. The solid structure of the loopless chassis of the L-590AXII eliminates ground impedance increase. The speaker terminals (A and B) are positioned inline and are compatible with Y lugs to enable easy connection with extra-thick speaker cables. A headphone terminal is also provided.